August is mushroom season in the southern Rocky Mountains. 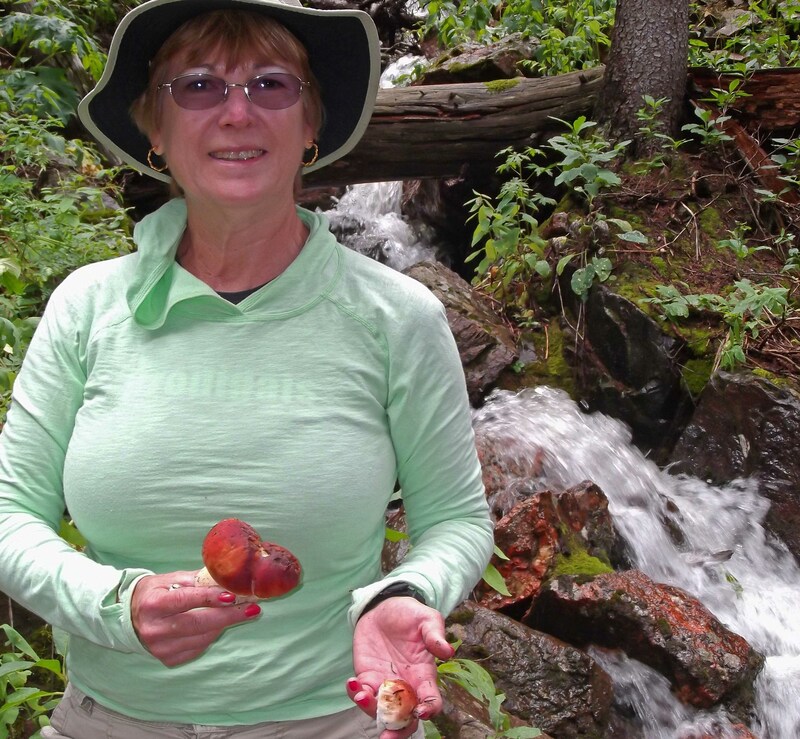 Doctors, dentists, students, professors, locals and tourists all head to the high country to search for wild tasty mushrooms. The most prized are the chanterelle which occur from 8000 to 10000 feet. 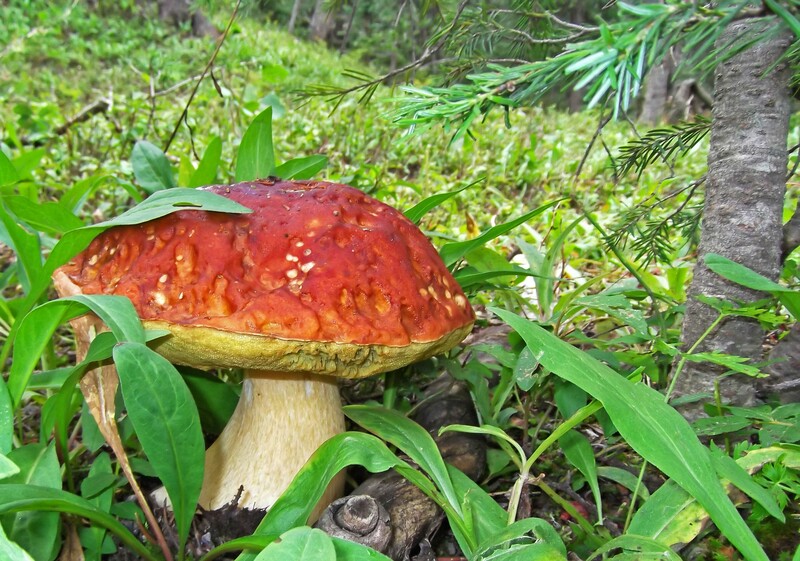 The other commonly sought are the King Bolete which are found around 10000 feet. 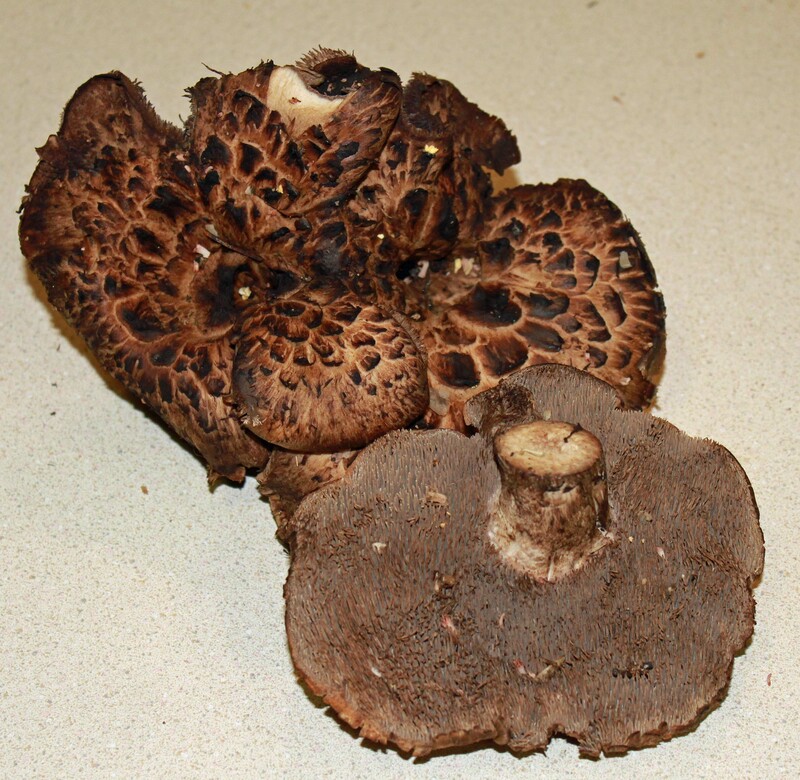 These are also known as porcini. 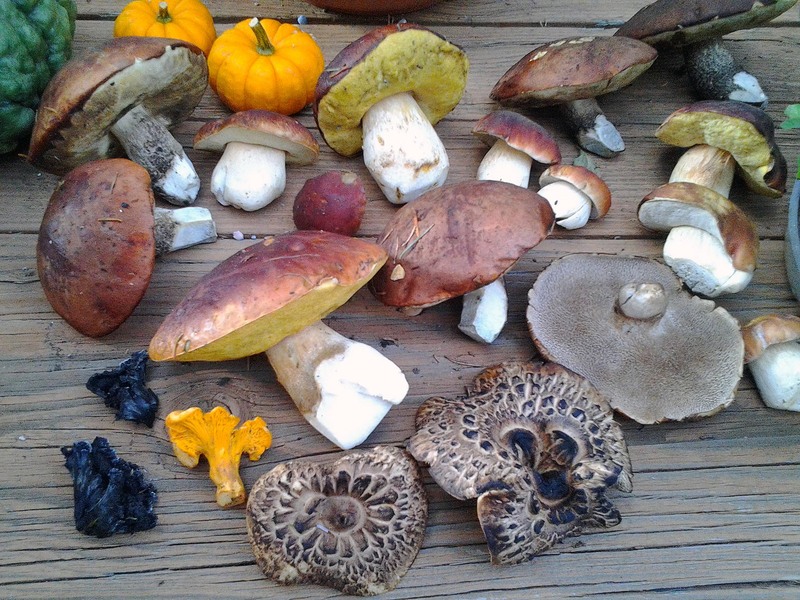 Our friend Chris Ricci of Majesty Mushrooms led us on a foray to learn the dos and don’ts. What a great reason to wander the spruce forests high in the San Juan Mountains. 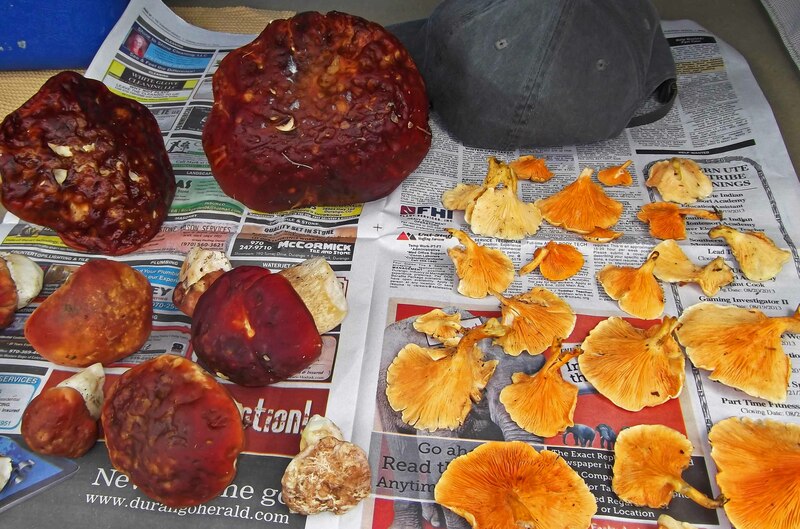 Summer 2013 has been a wet one especially at high elevation and moisture is all the mushrooms need to fruit. It has been a very good year for porcinis while not as good for Chanterelles. With Chris’s help we have also learned to collect Leccinum, Hawk’s Wing, Slippery Jack, Black Chanterelle and Giant Puffball. Mushrooms must be processed within a couple days after harvesting. Typically Chanterelles are used fresh. Boletes are usually dried or frozen. The Giant Puffball is as big as your head. It can be sliced, grilled, toppings added and baked like a pizza. Amazing. Our favorite dish is Wild Mushroom Risotto made with porcini mushrooms. Its earthy wild flavor goes great with the creamy rice. Nice to know you made it back to P Is. the long way back with lots of tales of trails. Hi Randy and Dianne. Linda told me about your blog and how to find it. Very nice!!!! Way cool! Get ‘er done, what a life, you know how to live it! Did you ever take the D and RGW train from Denver to Salt Lake? Last I knew it was the last privately owned railroad in the country, it had the dome cars and went into some spectacular, cliff-hanging mountains!